Where do I even begin? How can I explain what I experienced in India in a way that does it justice? These are questions I’ve been asking myself over the last month as I’ve procrastinated writing this. After posing these types of questions to God, he lovingly reminded me to tap into the Holy Spirit and allow him to speak through me. That is my prayer as I attempt to sum up and explain to you what God has been revealing to me through the opportunity I had to go to India. I want to share with you a list of “takeaways” and I hope they speak to you in a way that spurs you on in your own faith and walk with our wonderful Savior. God is faithful and He WILL provide. Having to raise money to go on this trip was an incredibly humbling experience. My faith was tested in a new way I’ve never experienced before and I am so thankful that God laid it on the hearts of my family and friends to give so generously so that I could go to India. 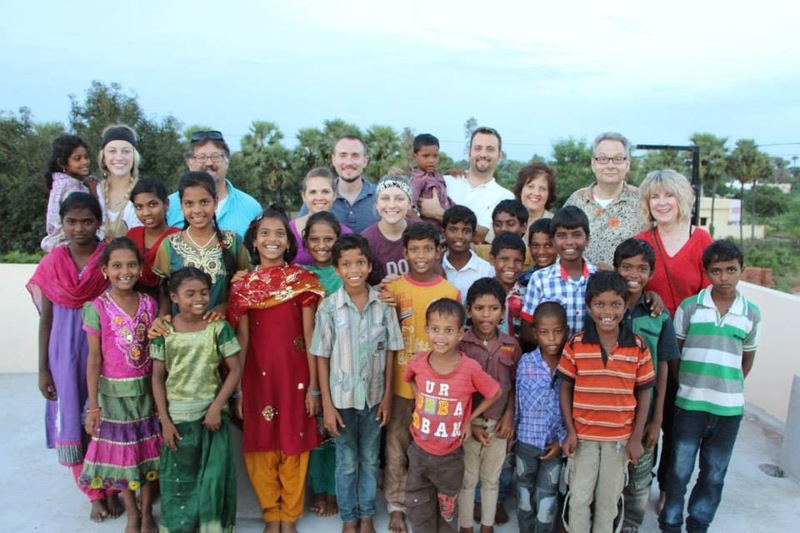 Not only did each of our team members raise enough to go, but we also exceeded our goal and were able to buy new clothes for the children in the Rajah home and continue funding new water wells and churches in Rajahmundry. Spiritual warfare is for real. I shared in my post before India how I felt the lies of the enemy creeping in and how I really had to lean on scripture and remind myself who I am in Christ. Coming back from India, I have experienced more of this and I realize it’s because Satan feels threatened. Satan knows our weaknesses and he will do whatever he can to remind us of them, to hit us where it hurts. He wants to beat me down and stop me from sharing the truth with others but my God is mighty to save. As I mentioned earlier, a lot of my insecurities stem from forgetting who I am in Christ. Because this is a constant battle within me, this topic prompted me to think about how India taught me more about God's creation. He created each and every one of us uniquely. Being in the midst of a culture and a people that is so different than me gave me new perspective on this. The people of India gave me a deeper appreciation for beauty. We desperately need the Holy Spirit. 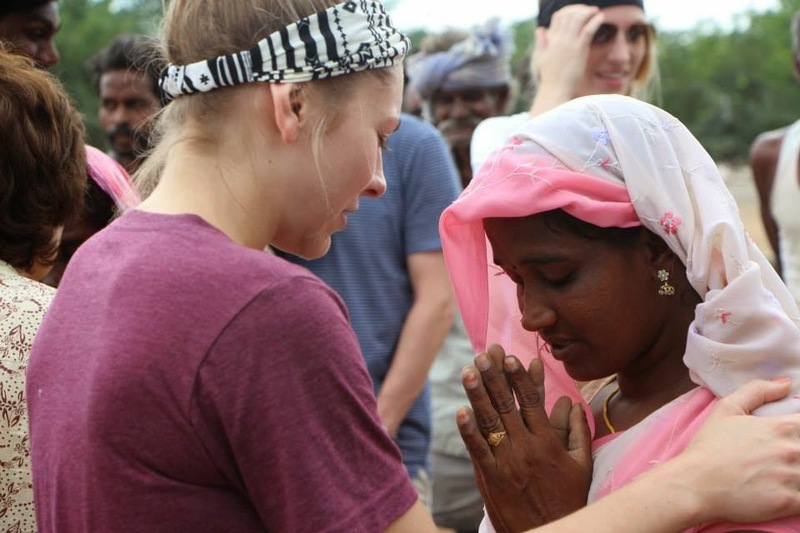 There is absolutely no way I could have served the people of India the way I did without the Holy Spirit working through me. Each and every day I prayed that I would become less and would simply be a vessel used for God’s glory. There were several times I felt awkward, dirty or concerned and in those moments I had to lean on the Holy Spirit to get me through it. 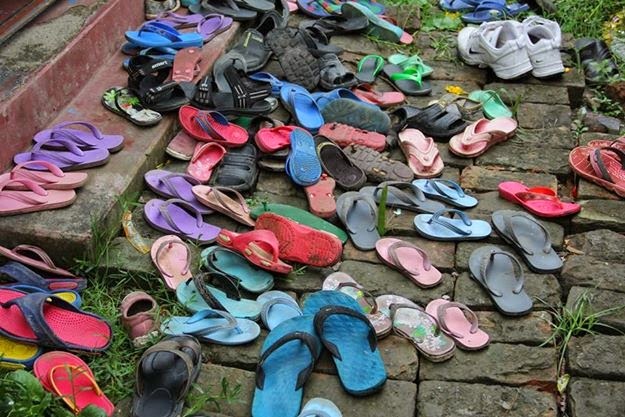 For instance, the first time we taught Vacation Bible School in the slums of Kolkata, everyone began taking their shoes off to go into this tiny room and I experienced a moment of hesitation. As soon as I stopped caring about myself and remembered what I was there for, I experienced an amazing sense of peace. 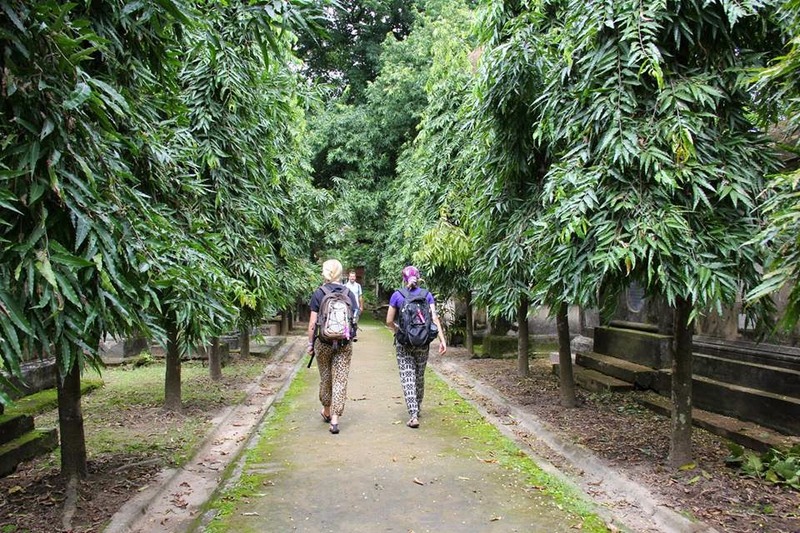 This same peace came over me when we toured Mother Teresa’s Home of the Sick and Dying. At first sight of the women lying in cots all around the room, I went from being concerned about the germs to my heart being broken for the women. Without skipping a beat, the Holy Spirit convicted all the women on our team to scatter around the room and begin laying hands on the dying women and praying the blood of Jesus over them. We’re all familiar with the passage on love in 1 Corinthians 13. You know, the one that goes, “love is patient and kind…”. If you read that entire chapter, it begins by telling us that even if we do wonderful things but we don’t have love, it’s meaningless. We can give time, resources and prayers to the people of India, we can try to serve them and help them, but ultimately there’s nothing better we can do for them than to love them. I have experienced love on this trip like never before. The kind of love that “bears all things, believes all things, hopes all things, endures all things.” The kind of love that breaks through language barriers and cultural differences. A love that could only come from Jesus, the ultimate example of serving and loving others. Our day started with love and it ended with love. Because our God is love, love never ends. One of the songs we sang with the kids in Vacation Bible School was "This Little Light of Mine". It was the cutest thing to watch as they sang their hearts out and attempted to pick up on the English. We taught them hand motions and just had fun with it. This is a song I grew up with, yet singing it in the midst of so much darkness the words seemed to come alive more than ever before. It struck me that these children living in the slums amongst brothels in the red-light district truly are little lights. 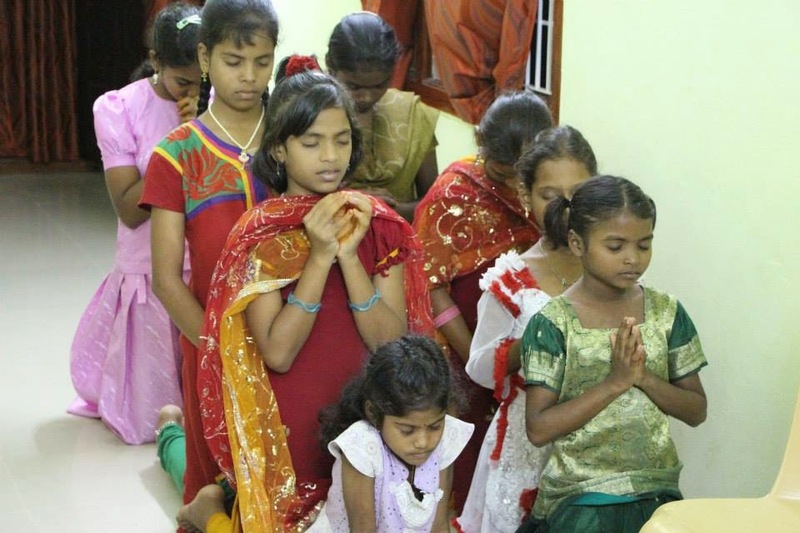 Going back to my second point, there is so much spiritual warfare going on in Kolkata and Rajahmundry because the love of Jesus continues to grow in these areas. Satan will stop at nothing to remind us that he is at work too. I experienced this firsthand at the Kalighat Kali temple after a few of us decided to walk through it. First of all let me say that the entire area surrounding the temple feels dark, claustrophobic and heavy. You could literally feel the sin all around you as animal sacrificing and prostitution are important parts of their worship there. Walking up to the temple hand in hand we began to get shoved into a line and surrounded with so many people desperate to get in. There is chaos all around us and all I could do was pray the blood of Jesus over us and repeat "Jesus, Jesus, Jesus" as we walked through. We came out the other side and I looked down to my right where several people were sitting there on the street. For some reason I made eye contact with one woman and as she looked at me she raised her pointer finger up to her mouth and blew out. In that moment I recognized that there are so many forces trying to blow out the light we so desperately want to spread there. Pray boldly and with authority. This was especially important considering the language barrier because the people in the churches couldn't tell us what they needed prayer for. Regardless, we laid hands on them and began praying over them, their families, and their futures. We prayed against sickness and disease. We asked for healing and miraculous signs to be done. 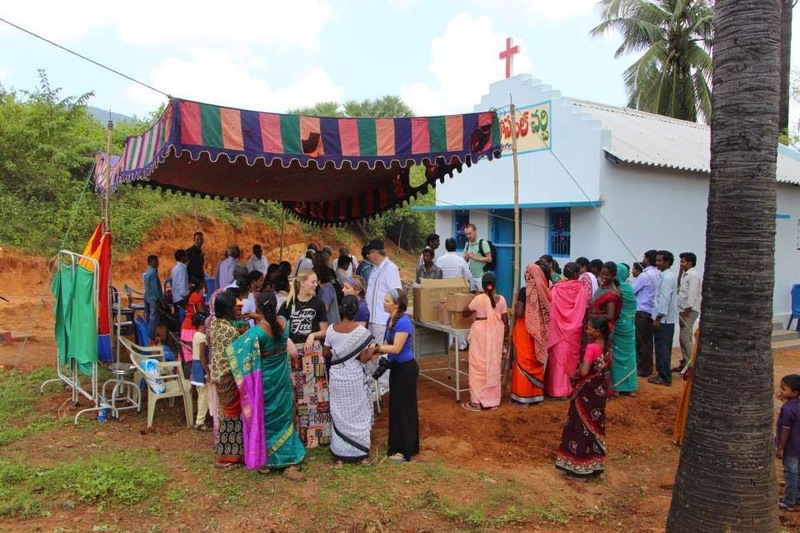 We relied on the Holy Spirit to move in such a way that the people in these remote villages in Rajahmundry would know there is a God who loves them. We also had so many others back home praying for our team – for safety, health and no rain. I can joyfully say that our wonderful Father answered each and every prayer that was raised up on our behalf. 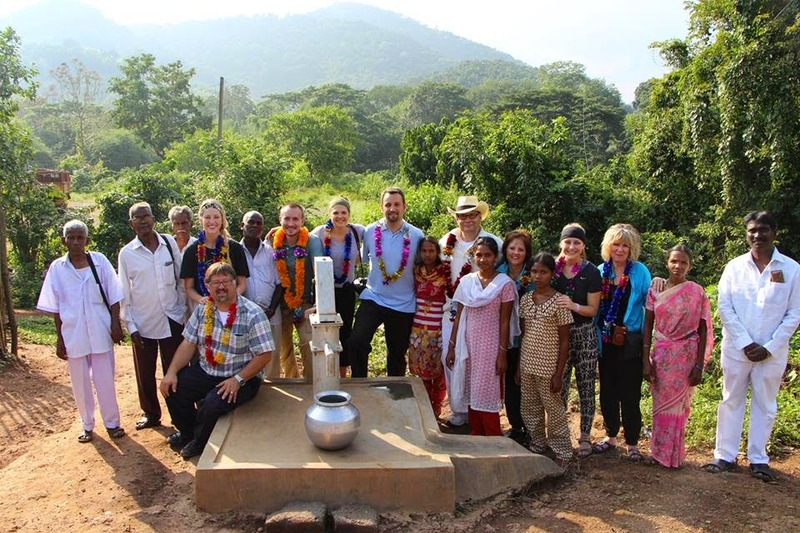 God made a way for us to share his love in India and we got to experience his faithfulness yet again. One of my absolute favorite things about our team was how much we laughed together. Laughter has the ability to create an amazing bond between people and I'm confident that without it our time in India would not have been nearly as fruitful (or as fun). I love how God's word speaks of laughter and joy. I cannot express how incredibly grateful I am to have been able to experience this amazing journey in India with the wonderful team God so perfectly orchestrated. Meal times and traveling together were always a blast and by the end of the trip we had so many inside jokes that still keep us laughing each time we see each other. 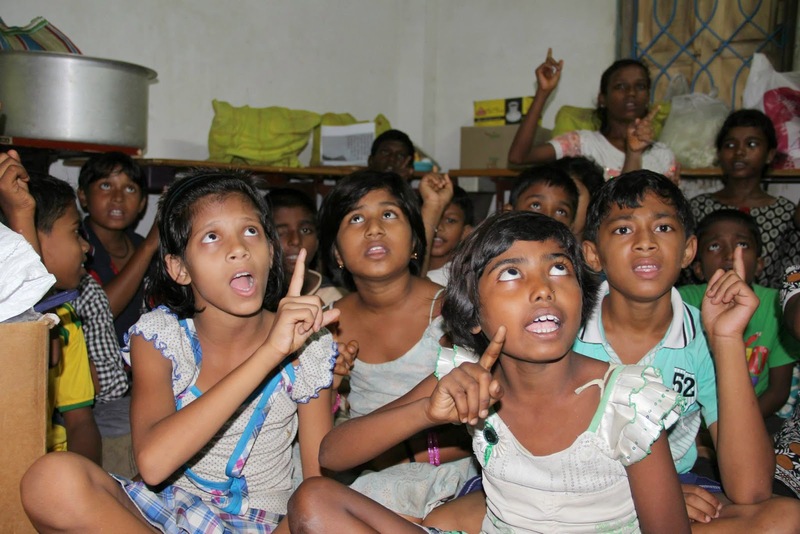 Because of the joy in each of us, we had the ability to pour out laughter and love onto the people of India. Their smiles will be ingrained in my memory forever. 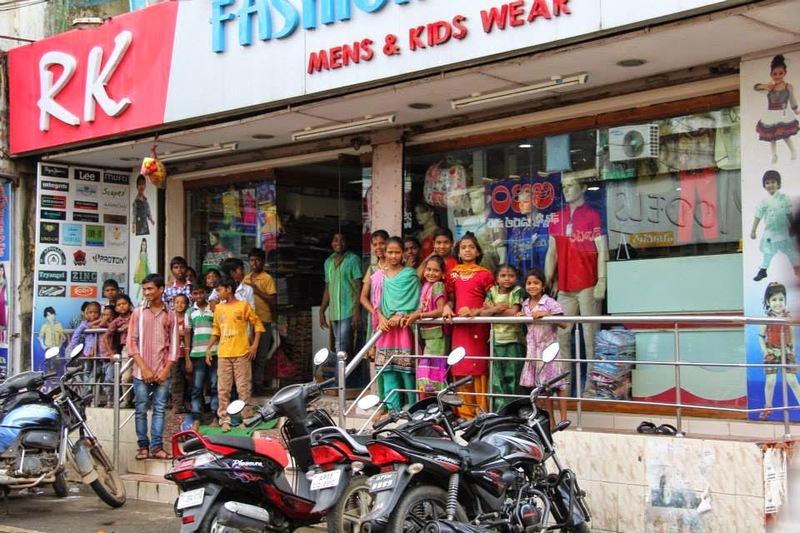 Taking the Rajah children to shop for new clothes then to play at the park was one of the most joyful moments of my life. These children have so little when it comes to earthly possessions, yet they have more joy in their little fingers than most of us have in our entire body. Why is this? I like to think it's because they understand that happiness doesn't come from creation; it comes from the Creator. Phew! Thank you for taking the time to read. 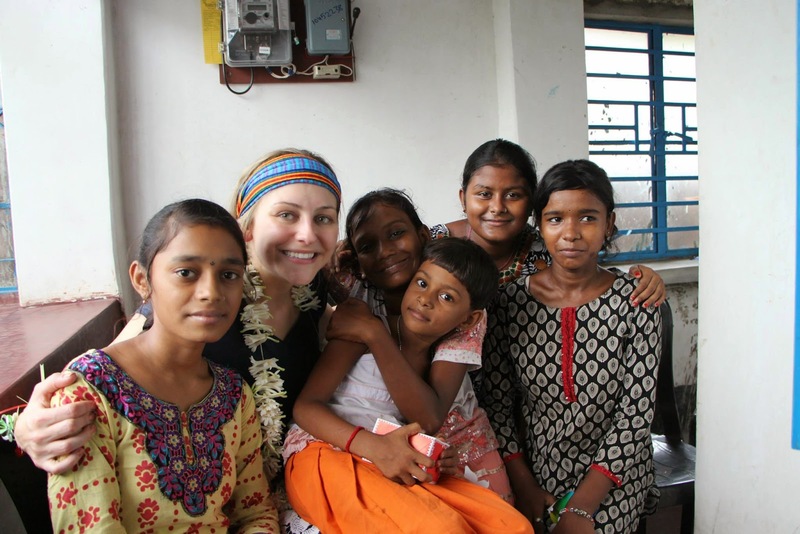 I hope you got a glimpse into what India was like for me. It was truly a once in a lifetime experience and I am forever grateful to every single person who made it possible for me to go. I also want to thank Trinity Harbor Church for blessing me with the opportunity to join their team and for making me feel like family from the very beginning. Lastly, I want to acknowledge that none of this would be possible without Children's Relief International, the ministry we served alongside. The work they are doing around the world is incredible and I would encourage you to visit their website to find out how you can be involved. Morgan, what a joy it has been to read these words. 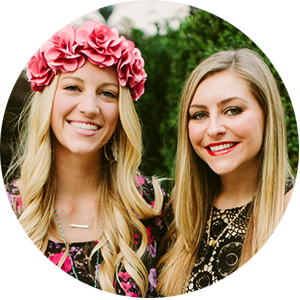 You and Hannah are Heirs of Christ, joint heirs walking the walk and talking the talk in a dimension many of us rarely do. And you share it in inspiring and rich detail. I love what you wrote about laughter! Was inspired with what you understood and shared about prayer and of course so blessed about your interaction, miraculous and deep with the children. I am so proud of you as your aunt, and sister in Jesus. I will read this account again and again and encourage you to turn it into a book. The pictures also soar off the page!